When the temperatures start climbing and you’re looking for relief from the summer heat, make hard cider and ice cream your new favorite go-to combination. 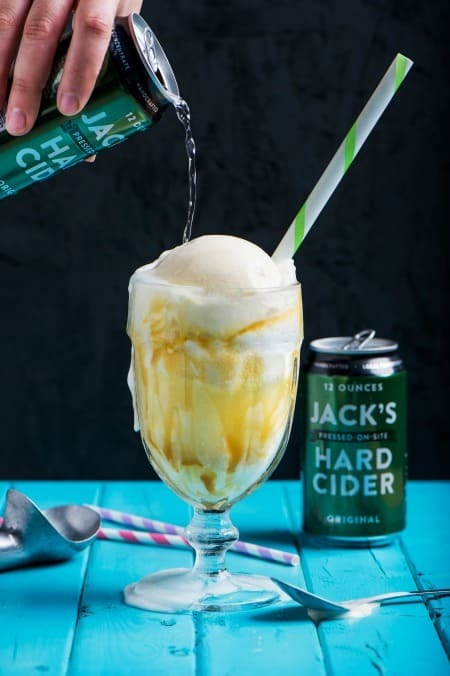 In a recent blog post, our friends at Jack’s Hard Cider shared a super simple recipe for a hard cider ice cream float that has the best of all worlds: the sweetness of ice cream, the richness of caramel and the refreshing carbonation (and kick!) of hard cider. Break out your ice cream scoops and prepare to indulge—visit the Jack’s Hard Cider blog for the recipe!